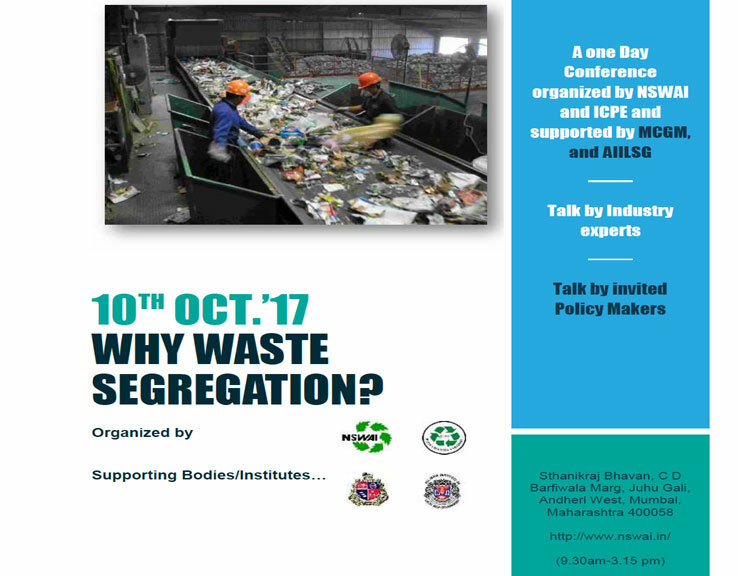 We are glad to share with you that NSWAI is organizing a one-day conference on the topic “Why waste segregation” on 10th Oct.’17 at AIILSG-Andheri center. The conference is supported by MCGM, AIILSG and ICPE. Participation in the conference is by invitation and is free for the members of hosting and sponsoring institute. Considering the short duration of event, we request all the participants to be present on scheduled time. The details for the schedule is as per the attachment. All the members are requested to please ensure their availability for the same.